It has been said countless times in the past that Jews laugh to keep from crying. Just within Israel’s short history, our country has had much to cry about, alongside our daily miracles. From the aftermath of the Holocaust to the Yom Kippur War, and from the first and second Intifadas to the rocket alert sirens sending citizens running to bomb shelters, the Middle East has certainly not been the easiest place to build a nation. Fortunately, the “new Jew” that Herzl envisioned copes well. Using comedy, in a way that only our people do, Israelis have developed their own unique tradition of humor – perhaps a bit different from traditional Jewish humor, but no less hilarious. 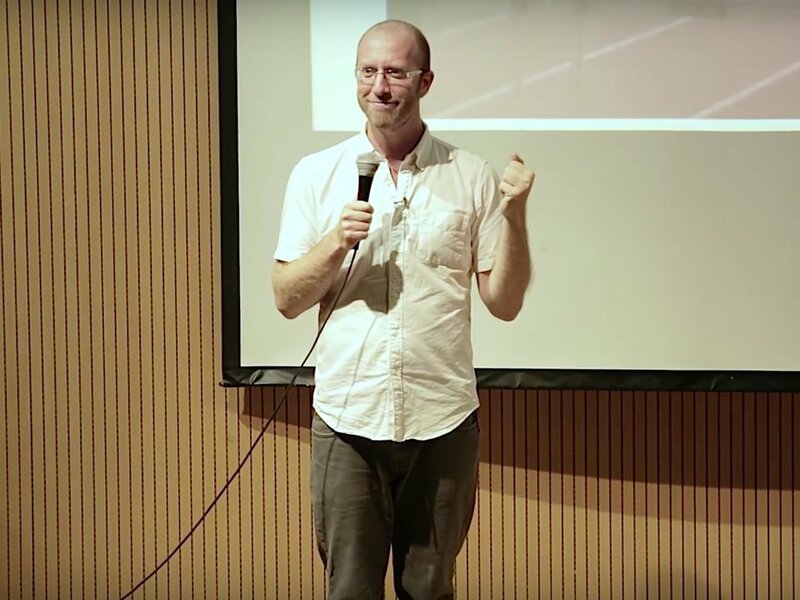 In this session, Benji Lovitt leads the audience through an entertaining historical journey, tracking some of the paradigmatic periods and transformative events in Israeli history, all through the lens of humor. By viewing clips from classic movies, TV shows, and other media, participants get a great introduction to timeless Israeli masterpieces, such as “Sallah Shabati” and the brilliance of Ephraim Kishon, along with some of Israel’s most current and cutting-edge comedies. 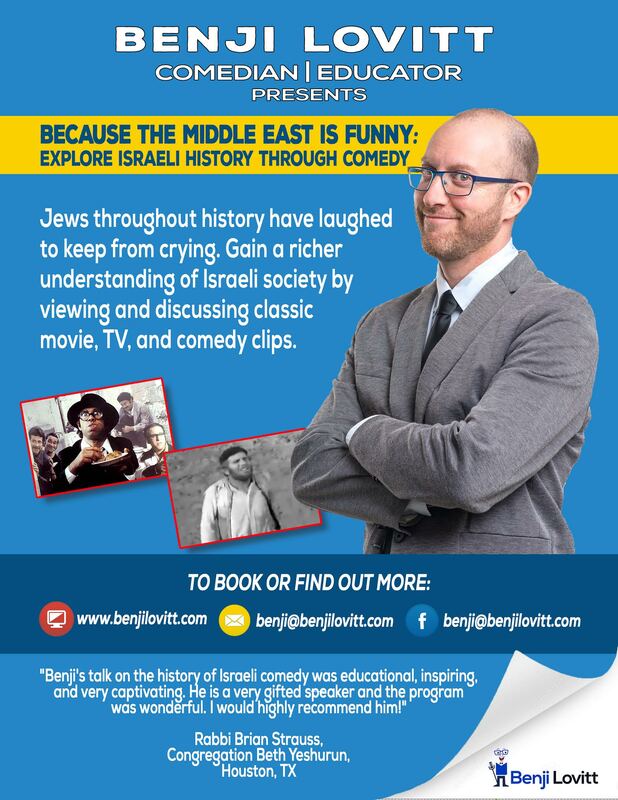 Want to learn more about Because the Middle East is Funny: Explore Israeli History Through Its Comedy?